Net Insight has developed the world’s first live OTT video platform which delivers frame-accurate synchronization across any device. Now, audiences no matter where they are will be synchronized – meaning they can share live experiences and interact like never before. With millions of free videos online, audiences are spoiled for choice. But the more content viewers have to choose from, the less each piece is worth. Live content is the exception. When something’s live, it’s an experience people can be part of. Live sports in particular bring people together – same time, different place. 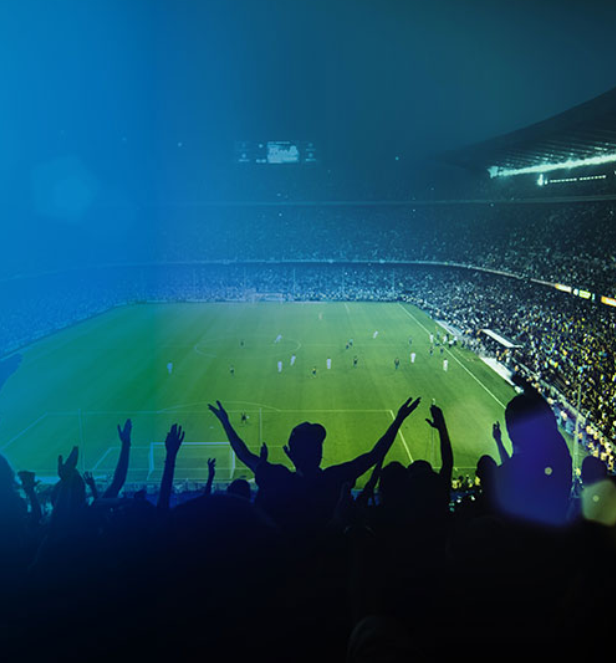 They don’t want to miss a second – and this makes it an advertiser’s dream: stadium signage, naming rights, product placements and ads the audience will happily sit through. Let’s face it, they can’t fast-forward them. Live content holds commercial value – for example people will pay to watch a live boxing match. But, because the internet is full of things to watch for free, that value is quickly eroding in non-live content. It is also the glue that holds bundled cable subscriptions together. Just compare the monthly price with and without the sports channels to see the value that audiences place on live sports events. 2015 Champions League Final – +834 million Twitter impressions. It’s not just live sports either; award shows and social media go hand-in-hand. It’s not even limited to real-time live. Some TV shows generate over half a million tweets per episode. Social interaction is a growing part of entertainment that lets viewers share the experience – unless they’re watching OTT. When people watch live events on traditional OTT platforms, the action they see varies from screen to screen. Nothing spoils the moment like finding out about a score 30 seconds before you get to see it. As a result, people are forced to log out of social platforms or risk hearing what’s happening on someone else’s screen before it happens on theirs. With our solution, social interactivity does not break down. The potential for broader engagement is brought to the fore. The rise of Over-The-Top (OTT) video has shaken established business models and created completely new ones. But up until now, its main limitation has been a lack of synchronization. 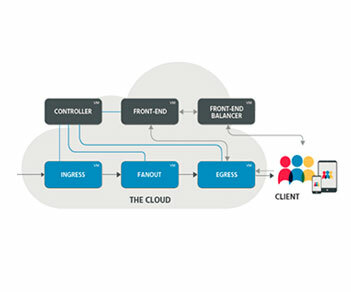 Traditional OTT platforms adapt to each user’s connection by creating variable delay, ranging from seconds to minutes. It’s no problem for binge-watching on-demand content, but it kills much of the potential of live content. Synchronized live OTT opens up new interactive entertainment possibilities that gives broadcasters, content owners and advertisers new ways to engage with their audience. 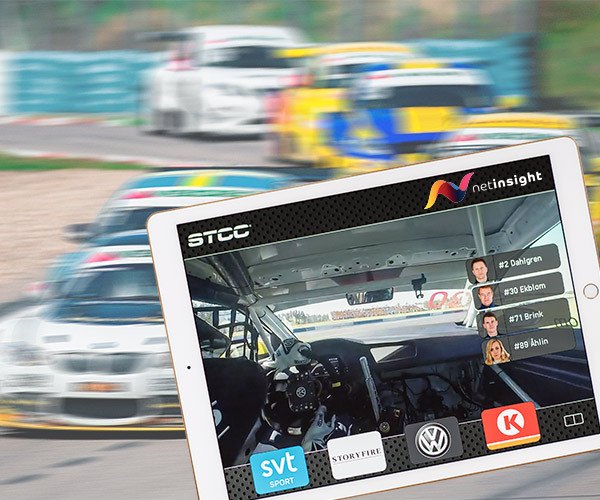 Net Insight has developed the world’s first live OTT video platform which delivers frame-accurate video and audio synchronization across any device. Audiences can now share live experiences, but that’s just the start. The solution also synchronizes OTT with broadcast TV. It’s now possible to offer companion content that integrates the second screen seamlessly into the first screen experience. In motor sports, you can choose your driver cam on the second screen and watch each movement of the steering wheel turn their car on the first screen in real time. It also offers data synchronization that opens up new interactive possibilities. Now the viewer will also be able to see the revs and heartbeat of the driver go up on the second screen as the driver accelerates, and place real time bets on whether they will pass the car ahead before the bend. Viewers will also be able to vote, poll, give their opinion – and that’s just what we can think of. 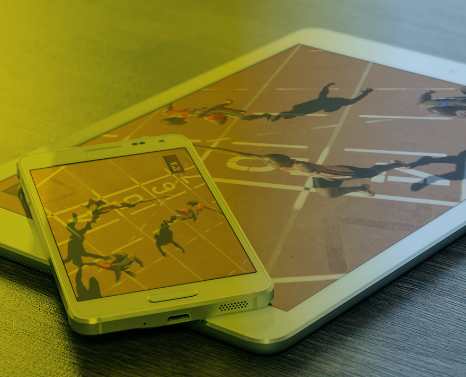 Synchronized live OTT enables new interactive possibilities that will change the rules of engagement for broadcasters, advertisers and content owners. StreamingMedia's second blog on Net Insight's live OTT solution Sye. 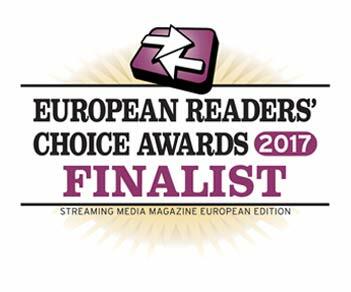 Net Insight's Live OTT solution Sye is a finalist, among the top three vote-getters in the Multiscreen Solution category. Companies sign framework agreement to deliver global, truly live OTT service.